There is so much going on and so much to do here at MICA! 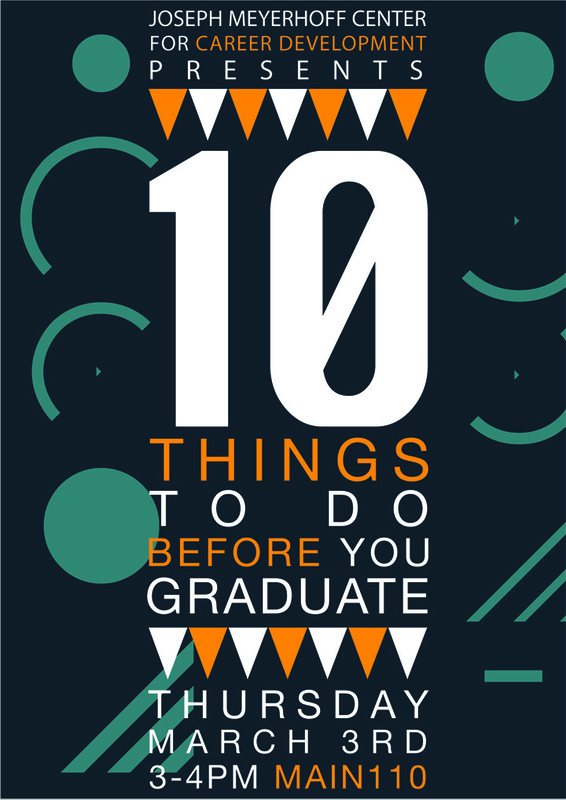 It’s easy to get caught up in the little things, and before you know it graduation is coming up and you’ve spent your whole college career in the studio. This workshop will present ten major things to do before graduating, based on a survey taken from MICA students last semester. Join us and be inspired to take on something new and get the most out of your art school experience. There will also be snacks.